It can be argued that most South Sound gardens are primarily filled with Rhodies, Azaleas and Viburnum, all spectacular in bloom… but they all bloom at once. So, the real art of PNW gardening for color is to extend the palette past that spring blast of color. Spring bulbs are good seasonal transition plants but it is perennials and annuals that form the color backbone of the summer garden. Annuals are easy. Annuals bloom all summer if you take off the dead flowers, throw some water on them when they need it and add a little fertilizer now and then. Easy. Perennials are a little more of a challenge since most of them only bloom for about 4-6 weeks. Luckily, there are a few that bloom almost as long as annuals…with the added benefit of “coming back”. 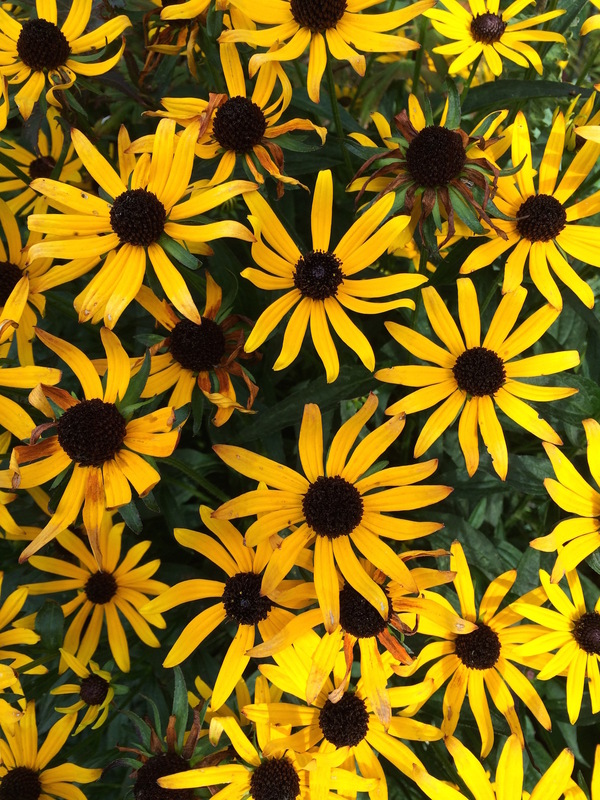 These perennials reliably bloom May-October in the South Sound and really put on a show. May to October! That’s a long time! Here are some power perennials. 1) Coreopsis (any variety) doesn’t stop blooming and attracts butterflies. 2) Dicentra ‘Luxuriant’ (fern leaf bleeding hearts) is an unusually cold hardy bleeding heart that (unlike the “regular” bleeding heart) can tolerate some sun. 3) Salvia ‘May Night’ is a spiky sage attractive to both hummingbirds and butterflies. It is easy to find and easy to grow. Dewit makes a handy wider trowel just for your perennials. 4) Hakonechloa macra ‘Aurea’ is a big name for a perfect summer ornamental grass. This Japanese grass is bright chartreuse and “pops” anywhere you put it in the garden. 5) Carex ‘Bowles Golden’ ornamental grass is similar in color and achieves the same effect. 6) Achillea filipendula ‘Gold Plate’, ‘Coronation Gold’ or ‘Cloth of Gold’ adds another dimension. The flowers of these yarrows are bright yellow with large flat flowers. 7) Erysimum ‘Bowle’s Mauve’ is a perennial wallflower that sometimes blooms year round. Beautiful blue-gray leaves are a bonus. 8) Echinacea purpurea is the “real” purple cone flower. It is unbelievably hardy and long blooming (unlike the newer varieties). 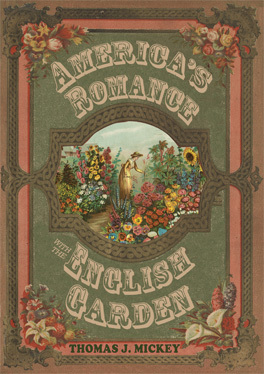 “America’s Romance with English Gardens” by Thomas J. Mickey. Talk to any group of avid South Sound gardeners about their gardening passions and (if they haven’t already been there) they will likely express a wish to visit England and its famous gardens. The world looks to England when it comes to gardening. Thomas J. Mickey explains how and why Americans have a particular fondness for the English garden. It’s not what you think. It’s all about commerce and advertising and how media played a major roll in pushing the English garden aesthetics onto American gardeners. Some things never change. “America’s Romance with the English Garden” is a gardening history book about the “wag the dog” process of American seed houses in the 19th century. Their business was growing seeds but they also created tantalizing catalogs and wrote all the gardening books. Their brand of social media steered the new middle class home gardeners straight back to their seeds to grow the beautiful gardens pictured in the catalogs and books…all English landscapes. The seed growers also began the first horticultural societies to educate the masses. Any nurseryman, home gardener, landscape architect, journalist, anglophile or social media nut will find the book fascinating. Ohio University Press, $26.95, 231 p.
This entry was posted in Book Reviews, Garden News, Great Plants, South Sound Magazine Gardening Articles by Vickie Haushild. Bookmark the permalink.